Quality compliance is often regarded as restrictive and costly, with little return on investment. But the truth is, compliance can improve and enhance customer satisfaction. The definition of quality is a product that meets and/or exceeds customers’ expectations on a consistent basis. By moving beyond minimum quality levels, manufacturers can reach a higher level of process and product expertise that would not have been possible any other way. In other words, given the chance to exceed customers’ expectations, why be satisfied with the basic requirements? Create a single system of record. For any compliance and quality management strategy to succeed, there must be a single system of record that guides your quality objectives. Consolidating multiple, on-premises legacy ERP systems with a single, unified cloud ERP system that can scale with the business just makes more economic sense. Free up your quality resources. Custom, legacy ERP systems designed to meet varying business models provide correct data only 30 percent of the time (or less), according to research by Aberdeen Group. When you consolidate or replace these legacy systems, you free up your teams from simply collecting data to analyzing and using data to solve business problems. Develop a continual improvement mind set. Take into account supplier quality levels and tooling requirements, then create Corrective Action Preventative Action (CAPA) workflows to create a cycle of continuous improvement and to manage complaints from customers, process variations, and production inconsistencies. Become data driven. Compliance, quality control, and manufacturing operations should be synchronized to your objectives. Using clear performance metrics for quality control, and a series of manufacturing and operations metrics to track quality and collaboration, can help you maintain this synchronicity. Track and record everything. 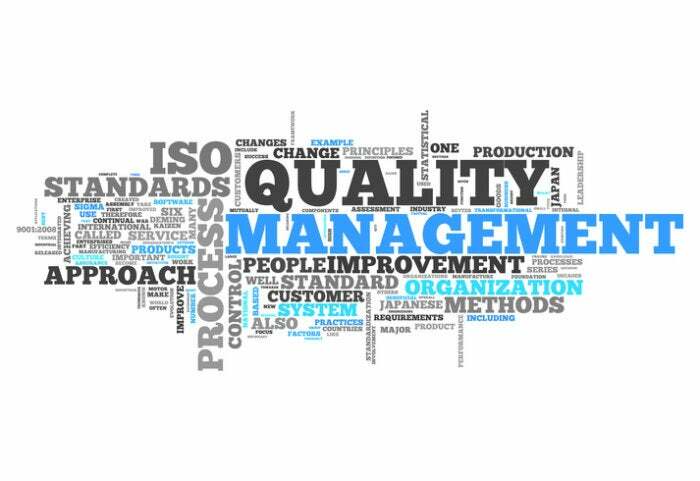 At a minimum, your quality management software system needs to track and report variability reduction, cycle time reduction, and risk mitigation across each manufacturing plant or location. Want to discover five more strategies for building your customer-centric quality management initiative? Download the white paper: Ten Strategies for Making Compliance a Competitive Strategy.